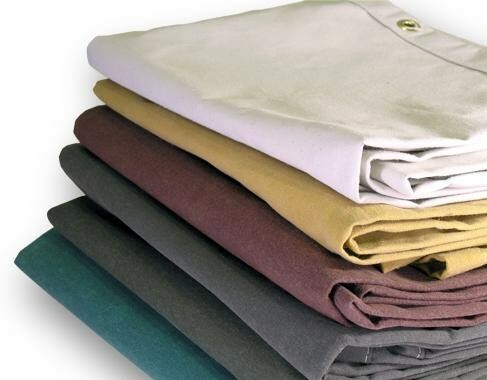 As useful and versatile as canvas tarps are, you should know that they may have a strong odor. If you’re wondering what is making your tarp smell, here are answers to some common questions. What’s making my canvas tarp smell?If you just bought a brand new water resistant tarp, it’s natural for there to be a strong odor. There’s nothing to worry about. It’s just the result of petroleum byproducts that are found in water repellent agents. We recommend using your canvas tarp outdoors where the odor will dissipate after it’s been exposed to outside air and the UV rays in sunlight. If you purchased your tarp a while back and stored it in a vinyl bag, dusty garage or humid attic, you may also discover a musty odor. How should I store and care for my canvas tarp?Air and sunlight are also the best antidotes for odors that may develop during less than ideal storage. Other prevention tips include treating stains and removing dust before you store your tarp. You also want to make sure that it is completely dry so you don’t wind up with mildew. Is there anything else I should know?Read the product specifications before using any cleaning product or method on your tarp that could damage its water resistant properties or color. Do not put your tarp in your washing machine as it could stain the tub. Clean it outdoors on the ground or on a floor or use a safe container. Unless the manufacturer’s instructions say otherwise, canvas tarps are durable so you may be able to use a brush to scrub any stains. 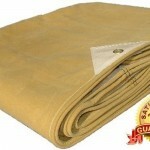 If you’re looking for the best prices and fast shipping for canvas tarps,contact us at CanopiesAndTarps.com. Our friendly and knowledgeable staff are available 24/7 to answer all your questions or you can use our easy online ordering. This entry was posted in canvas tarps and tagged Canvas Tarps on April 5, 2019 by Canopies Tarps. If you’re looking forward to spring and warmer weather, you may want to start watching movies in your backyard. For a simple movie night at home under the stars, all you need is a canvas tarp and a few other simple items. Setting up your Canvas Tarp Screen:While there are special movie screens that will have better picture quality, a basic white canvas tarp will do the job at far less cost and it will probably be a lot more durable. For a low cost set up you can handle yourself, buy some PVC pipe at a local hardware store to make a frame with legs you can pound into the ground. Then, just pin or tie on your tarp, smoothing out any wrinkles that would get in the way of your viewing. Other Backyard Movie Night Supplies:If you don’t already have a projector, you may be surprised to find how affordable a good quality model can be these days. Prices range from about $50 on up, and there are many highly rated devices in the $100 to $200 range. You’ll probably need to use outdoor speakers as well so think about your neighbors. You may want to invite them over to share the fun. Even if you’re watching your weight, there are plenty of snacks and beverages to enjoy. Share a bowl of popcorn and brew a pitcher of ice tea with lemon. If you like to indulge, plan a menu to go with your movie title or genre. You could serve chili and barbecue for a western and chocolate and strawberries for a rom-com. Enjoy spending the evening outdoors watching your favorite movies without having to stand on long lines or pay for expensive concessions.Contact us at CanopiesAndTarps.comto shop for high quality tarps and other outdoor products with discounted prices and fast shipping. Warm weather showers may be perfect for the flowers but they wreak havoc on a pit masters plans. Even a brief shower has the potential to wet seasoned wood not to mention water down the sauce and turned buns into mush. Such things can be corrected if a pit master is at home but what about those all important, barbecue competitions? Who needs the hassle of scrambling for dry, smoking wood or charcoal on competition day? Tucking canvas tarps into the pit masters barbecue trailer may help avert shower related disasters. The tarps are water-resistant. So, bags of charcoal and bundles of smoking woods will stay competition ready, regardless of the weather. 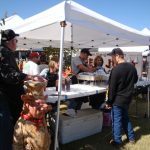 Canvas tarps can also protect the pit master from sudden downpours and offer shade when the sun favors him or her with its presence. 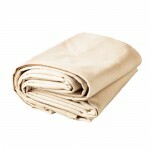 In addition, as long as the pit masters grill or smoker is cold, it may be draped with canvas tarps too. Theyll help keep any exterior logos and paint looking spiffy, which is important for those photo ops with the judges or famously hungry fans. And speaking of photo ops, fire resistant tents marry well with canvas tarps as well. 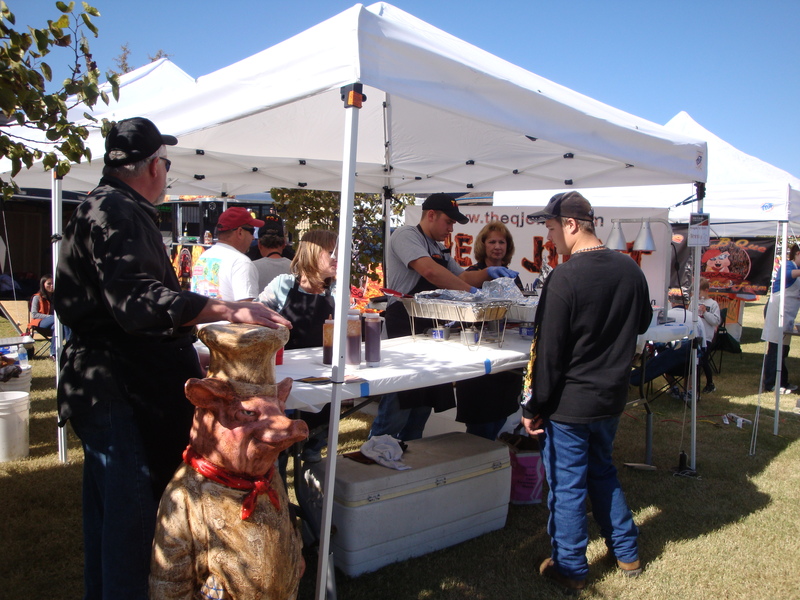 The companion tents are perfect for setting up comfortable, eating or selling areas. Inside the pop-up tents, pit masters could set aside a corner for cases of their much-loved sauces and rubs. The cases could be temporarily covered with canvas tarps until street teams are ready to sell the barbecue sauces and rubs to waiting patrons. Furthermore, canvas tarps may be treated to serve as portable advertising for the same said products. For example, pit masters could silkscreen their logos on to the tarps so customers would have something memorable to look at while they wait for service. To learn more, please contact our street team savvy agents today. This entry was posted in canvas tarp, canvas tarps and tagged Canvas Tarps on September 28, 2016 by Canopies Tarps. 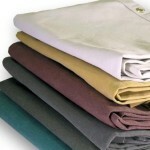 Canvas tarps come in two main varieties. They are either 100 percent polyester or cotton duck fabric. Both types are excellent at protecting childrens ride-on toys as long as the chosen fabric has been treated with paraffin wax. Widely popular among waterproof professionals, paraffin wax not only prevents water from accessing stored goods, it offers other protection too. For example, it is capable of withstanding a barrage of hail, wind, flying debris, intense sunlight and other outdoor elements. As such, the kids toys are not likely to sustain damage during seasonal storms. 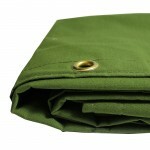 Canvas tarps also come in at least 10 different colors. So families arent stuck with drab green. They can cover the kids ride-on toys with bright yellow, blue, gold, white, green and brown tarps instead. And we have to say, the various colors make it easy to distinguish one childs ride-on toy from another. For instance, the boys in the family could be assigned the blue, canvas tarps and the girls could make use of the white ones. In addition, the canvas tarps are easily recyclable. Once they outlive their usefulness as ride-on covers, the canvas tarps could be used for a number of other purposes. Examples include childrens craft project materials and covers for two-wheel bicycles or ATVs. To learn more about protecting the kids ride-on toys with colorful tarps, please contact us today. This entry was posted in canvas tarps and tagged Canvas Tarps on July 11, 2016 by Canopies Tarps. High quality canvas tarps, or tarpaulins, are as versatile as they come, and are made from durable, natural materials that are often coated in a waterproof urethane. This means that, in spite of other manufacturers’ claims, not all tarps are the same quality, nor do they provide equal user experiences for all people. Many times, as we have heard consumers say they have experienced, the grommets and stitching from lesser quality tarps break off and come undone, rendering the tarp useless for most practical purposes. Made from 100% cotton canvas material. Rust-resistant grommets that outlast through decades of use. Hems that feature double-stitching for rugged durability. Unsure if a canvas tarp is what you need? Here are 5 aspects of canvas tarps that you may not have known, making it easier to decide that you need a canvas tarp for your next project, camping experience, vehicle cover, and so on. 1. Canvas tarps are durable but resistant to abrasiveness. 2. Made from breathable yet resilient, natural materials, yet water-resistant. 3. Canvas, when used as a drop cloth, absorbs paint better than plastic. 4. Constructed from 100% cotton and are safe for the environment. 5. More so than plastic, canvas tarps have a classic, rustic look. Canvas tarps are useful, adaptable, and made from recognizable ingredients so you know that they are safe and not harmful to the environment. 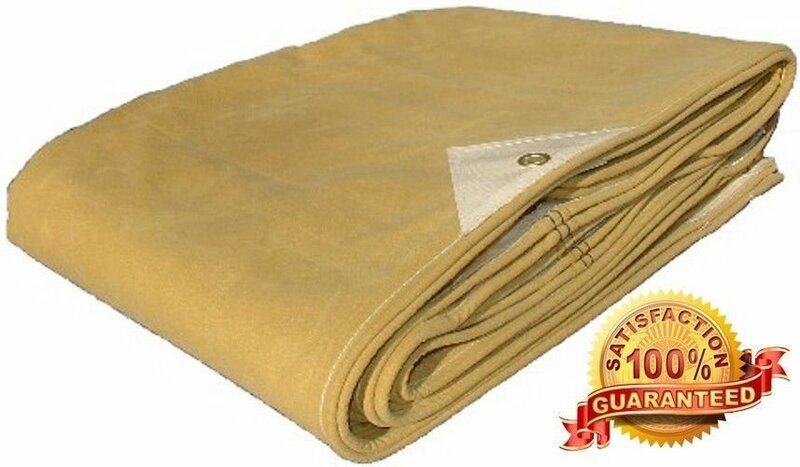 We recommend picking up a few canvas tarps to have available around your home. For additional information on tarps of any kind, please contact us via email. Or, for those who prefer telephones, we invite you to call our customer service representatives at (877)811-3911 and learn how we can provide for your needs today. This entry was posted in canvas tarps and tagged Canvas Tarps on November 9, 2015 by CanopiesAnd Tarps. To make the bunting flag, trace a series of matching triangles on to the untreated, canvas tarp. Then cut them out and dye them using the schools colors. When the triangles are dry, clothes pin them to a stretch of jute twine and youre done. The kids can use the ends of the twine to hang the flag up when they get to the dorm. The lamp shade covering is made in a similar way. Simply cut the canvas tarp up into matching strips. Dye the strips and when theyre dry, hot glue them to a cheap lamp shade in the design of your kids choosing. After the glue cures, they can add the shade to their favorite desk or floor lamp. It will look stunning next to the bunting flag and the rest of their dorm room dcor. We promise. Finally, lets talk about the memory wall hanging. Cut the canvas tarp into a long rectangle and dye it to match the other dorm room projects we mentioned. Later, fold over the top edge of the tarp and sew a pocket for the wooden dowel. Run the wooden dowel through the pocket and attach a piece of jute twine to each edge. It will serve as a hanging loop. Afterward, give the kids a coffee can full of fabric markers to take to college with them. Tell them to hang the wall hanging up in their respective dorms and let their friends draw on it with the fabric markers throughout the school year. And yes, the wall hangings are simple enough to make year after year. So the kids will be able to have a unique one for each year they attended college. To learn more about decorating college dorm rooms with treated and untreated, canvas tarps, please contact us today. This entry was posted in canvas tarps and tagged Canvas Tarps on August 20, 2015 by CanopiesAnd Tarps.